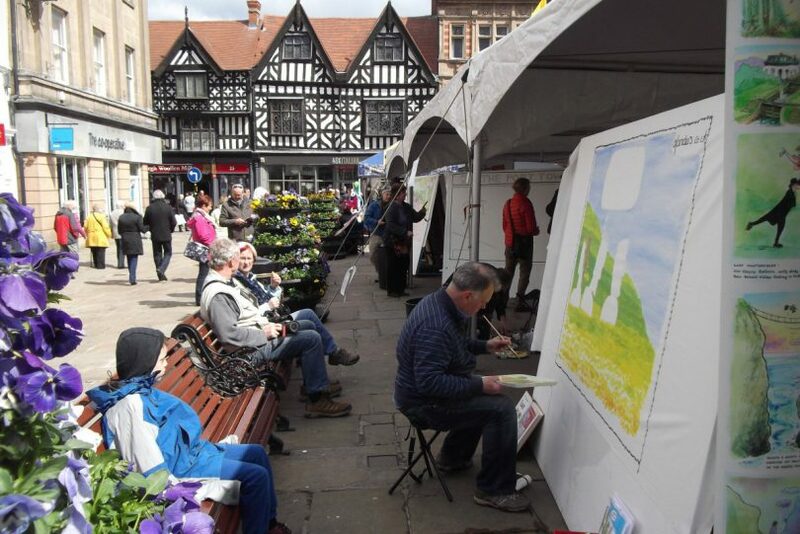 Now in its sixteenth year the popular Shrewsbury International Cartoon Festival returns to the town this month during the Easter holidays with a dazzling assortment of exhibitions, talks and family workshops. This year’s theme is ‘animals’ and the World’s cartoonists have taken to this with skill and enthusiasm, to tickle the funny-bones of our thousands of visitors. Contributions from Australia are now on show at Theatre Severn in ‘The Lizards of OZ and Other Creatures’ and from the UK and other countries in ‘Drawn To Be Wild’, now open at Bear Steps Gallery. Admission is free. ‘Animals on the Loose’, a different take on the Easter Bunny Hunt to find Barry the Shrew can be enjoyed at The Parade Shopping Centre throughout April. Most happenings are concentrated on Friday 26 and Saturday 27 April with a menu of events that sees a talk by The Guardian’s Steve Bell on ‘Political Animals’ he has observed close up over the years. There will be family cartoon workshops with Clive Goddard, Jonathan Cusick, Zoom Rockman and Graham Higgins. The latter is brought to us by Mythstories and is aimed at young cartoonists of 14 to 25 years of age. Something a bit different is ‘The Wolf of Baghdad – A Memoir of a Lost Homeland’, a fascinating audio-visual project exploring themes of displacement, refugees, identity and belonging. It has been created as a graphic memoir by cartoonist The Surreal McCoy based on her Iraqi-Jewish family’s memories of a lost homeland. Saturday 27 sees a giant gathering of cartoonists in The Square drawing on big boards, finding humour in our animal theme. Have your picture drawn by our talented caricaturists. Look forward to plenty of beastly laughs and some live music too. Simon Airey the Animal Man will be on site at 11am with exotic animals to meet and handle. Keeping with the animal theme we are supporting the charity Guide Dogs UK this year. At Button & Bear Bookshop ‘Fintan Fedora’ author Clive Goddard will be offering a free fun session, reading, drawing and a bit of exploring. Festival Chairman Bill McCabe is full of praise for the support the event receives from the cartooning community in the UK and overseas.